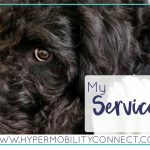 For Mental Health Awareness Month, we asked members of our hypermobility community to share their experiences of mental health as part of their hypermobility journey. 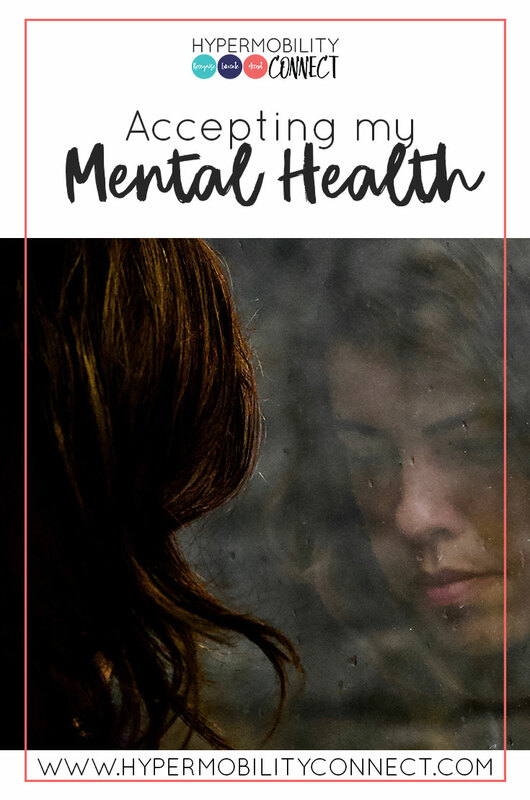 This week Julie reflects on “accepting my mental health”, as many of us have to do. My first recollection of my experience with depression was at the age of 14 when my parents separated and started the process of getting divorced. I went to a therapist to deal with that, and after a couple of years of therapy she referred me to a psychiatrist. I started taking antidepressants when I was 16. At the time, the stigma was bearing down on me, and I was very embarrassed and afraid people would call me crazy if they knew. I even told my dad that I did not want him to tell my stepmom that I started taking antidepressants, but I lived with them, so he did. In retrospect, of course, he would tell her. Prozac was a life changer for me. I became a nicer, less angry person. I started experiencing pain from anxiety while I was in high school and still living at home. However, it wasn’t until I was in college and having extreme stomach and chest pains that I went to the doctor and was diagnosed with anxiety. So when I was in college, I started taking an anti-anxiety medication in addition to antidepressants. I’ve had so many different physical reactions to stress and anxiety in my life. 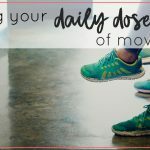 The most common are chest pains or bloating, but there was a period when I was in an awful job where my leg felt like it was broken! I’ve been in and out of therapy since I was 14 (I’m 36 now). I am so glad mental health is being talked about more openly. While there are still many people who don’t understand depression, I feel safer being able to share my story. I don’t feel ashamed anymore or worried that people will call me crazy. I tell people that my brain doesn’t produce the chemicals that I need, so I take medication to supplement that lacking production. Yes, I communicate that I consider my pharmaceuticals to be supplements because for me they are supplementing the neurochemicals my brain is producing (just not in the right quantities). I think it normalises it and reduces the stigma even further (and helps me on my own journey to accepting my mental health). I’ve had plenty of people, hippies and religious folk alike, tell me that I should stop taking medications and either change my diet and go all-natural, organic or that I need to turn to Jesus and trust him with all my worries. After years of cognitive behavioral therapy and seeing many different psychiatrists I finally found an amazing psychiatrist who is also a doctor of neurology. In 2017 my diagnosis changed from Major Depressive Disorder with depression to Bipolar type II not otherwise specified. That diagnosis freaked me out yet again but I reassured myself that nothing had actually changed about me; the change was simply in the words used to describe me in a medical setting so that I could get better health care and medication. This psychiatrist is the first to acknowledge that my depression and anxiety are organic and that sometimes there are people, like me, who, no matter how much therapy they do, will still experience depression and experience anxiety. And, therefore I am ok with the fact that I will likely be on medication for the rest of my life. What’s your experience been like? Has stigma played a part in your journey towards accepting your mental health? Share with us in the comments.